Yeah, I know - it's not really the preseason. Still, it kind of feels that way...even if Pitt struggles a bit at times. 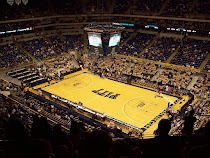 Pitt was able to pull out a 71-60 win against Eastern Kentucky. The home team looked good in the first half, opening up a 15 point lead, then seemed to take it easy in the second. They came out really sluggish looking and only scored one basket in the first six minutes while getting outhustled by EKU. Not good, but I guess they'll learn and I wouldn't be surprised if slacking off cost them a game down the road. While EKU closed the gap late, I never really got the feeling that they could pose a serious threat - mostly because our defense really stepped up when they wanted to and while their shooting was okay (40% from the field), it was by no means lights out. Still, overall, EKU played reasonably well and didn't back down. It's an excellent point and while there will be growing pains with this team, by the time the Big East schedule rolls around, they should have a good feel for the college game. Plus (and I keep mentioning this), Jermaine Dixon and Gil Brown will help in a big way with leadership and playing down the stretch in close games. Pitt tied a school record with 12 blocks in the game. Freshman center Dante Taylor and junior center Gary McGhee each had four blocks apiece. 1. Rebounding - True, EKU's tallest player was 6'7". 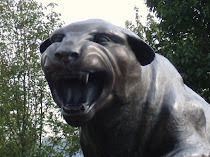 But a dominating 47-25 edge on the boards is the type of performance Pitt fans are used to. 2. Lamar Patterson looks like he could contend for minutes - 10 points / 4 boards in 19 minutes of action including hitting a few threes. 3. Nasir Robinson looks like the real deal and should be a very solid player for this year and beyond. With 15 points tonight, he's averaging 10+ points and 6 rebounds per game. One thing that worries me a little is that he looks really uncomfortable playing on the perimeter. He's going to eventually need to develop an outside shot as he had several wide open looks tonight and didn't take advantage. I may be dating myself a bit, but he kind of reminds me of a better rebounding version of Cedric Ceballos. Ceballos would get the garbage buckets and even averaged about 20+ ppg a couple of years with the Lakers in the 90s. Nearly all (if not all) of Nasir's buckets came right around the basket. Nothing wrong with that, though. Chevy Troutman had a pretty good Pitt career doing much of the same thing. 4. Ashton Gibbs may be Pitt's best player. He works well around the screens, hits shots, and doesn't play outside of the flow of the game. He doesn't force bad shots and is extremely patient. He had 20 more tonight and is averaging about 17 per game. 5. Travon Woodall shot horribly (1-8), but had six rebounds and seven assists. He was generally all over the court and played pretty well other than the shooting woes. I feel pretty comfortable with him running the team, but it will be interesting to see how he responds to better competition. 1. Free throw shooting at 58% - some things never change. One thing that puzzled me a bit was near the end of the game when EKU was trying to make things interesting. Down about 10 with two minutes left, they should have been probably trying to foul Pitt, forcing them to hit free throws. Instead, they let Pitt run the clock down twice and didn't go for the foul until about 40 seconds left. 2. Chase Adams again got about 20 minutes of PT, but only had five points. He doesn't look terrible out there, just not real aggressive offensively. Curtis Aiken had some sort of nonsensical comment along the lines of that anything he provides them offensively is a bonus because he's such a great defender. Well, he averaged nearly 15 points a game last year as a junior, so I'd be lying if I said I didn't expect more offense out of him - especially in these early non-conference games. 3. Dante Taylor really is going to need to assert himself a little more offensively. He really showed up on the boards (13) and was a huge presencec defensively (4 blocks), but didn't even get his first shot until about 12 minutes left in the game. I know it's going to take him a while to get adjusted, but I'd like to see him be a little more dominant against these lesser foes. Otherwise, the Big East frontcourts might give him a lot of trouble. I think he'll be fine, though. All in all, it's hard to complain too much. The most encouraging thing for me was seeing the way they rebounded after Jamie Dixon seemed to put an emphasis on that. Wichita State on Monday will really be their first road test. Even though it's technically a neutral site, it's in their home state and should probably be basically a home game for them. I could easily see Pitt dropping this one, but either way, we'll know much more about the team after that game.